No, Capcom, no! Bad! Bad Capcom! I’m sorry, but it’s just a gut reaction whenever I see the words “larger scale” and “Resident Evil” together anymore. Something flashes into my mind about Call of Duty, Michael Bay, taking silly dives and rolling on the floor, and totally missing the point of your franchise. In other words, I think of Resident Evil 6. That being said, at least Resident Evil Revelations 2 isn’t taking place on a global scale with an alcoholic Chris Redfield leading a team of soldiers into “not Modern Warfare” territory. 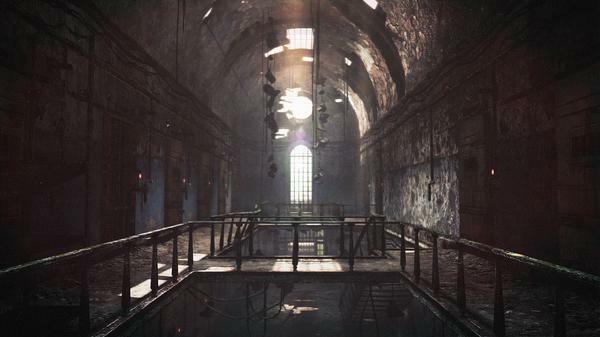 Capcom has learned to restrain the “large scale,” and it is trading in the cruise ship of Resident Evil Revelations HD for a creepy island in Revelations 2. It’s baby steps, and I can get behind them. What made the first Revelations just so amazing was that it was able to keep the frights alive in a small, claustrophobic setting. Thanks to the limited powers of the Nintendo 3DS, the team was forced to hold back on resources and keep their vision in check, similar to the older PlayStation games. Only after it was ported to the PlayStation 3 and Xbox 360 did we truly see how limitations actually helped the game’s core design. Series Producer Machisaka Kawata and Director Yasuhiro Anba both spoke with Japanese gaming magazine Famitsu this week, revealing that the original team is mostly on this project and that the island will be a very intricate setting. “The first Resident Evil takes place in a mansion, and with Revelations taking place on a cruise liner, so you have many stages that were set in closed locations, but Revelations 2 will take place on a lonely island located somewhere in the distant sea. 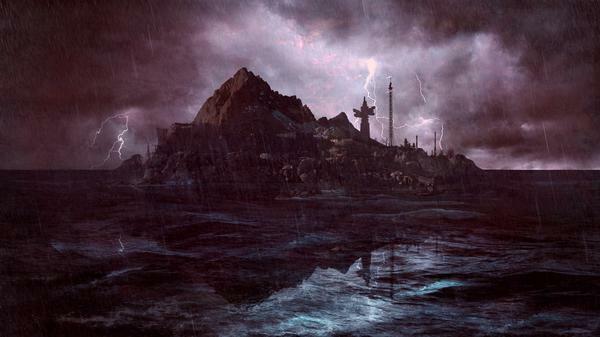 We’d like to make it into something we can call ‘Resident Evil Island,’” says Anba. “The place is much wider than the cruise liner, so there’s plenty more we can set up than what we had in the previous game,” adds Kawata. Thoughts of Resident Evil 4, the perfect blend of Resident Evil‘s old and new approaches, come to mind when picturing the possibilities of this small island. Not too constrained and certainly not too expansive. Just enough to have nowhere to run from the zombies, but also just enough to have hideouts and spectacular action scenes. A perfect zombie playground. As far as the modern games go, Resident Evil Revelations HD was the closest Capcom has come to nailing that magic a second time, and hopefully the team will be able to take what worked and flesh its sequel into yet another masterpiece. Resident Evil 4 is a perfect video game, and we probably will never see its quality matched. Hopefully though, this promising team at Capcom will be able to come really close. Resident Evil Revelations 2 will be released for the Xbox 360, Xbox One, PlayStation 3, PlayStation 4, and PC in early 2015.